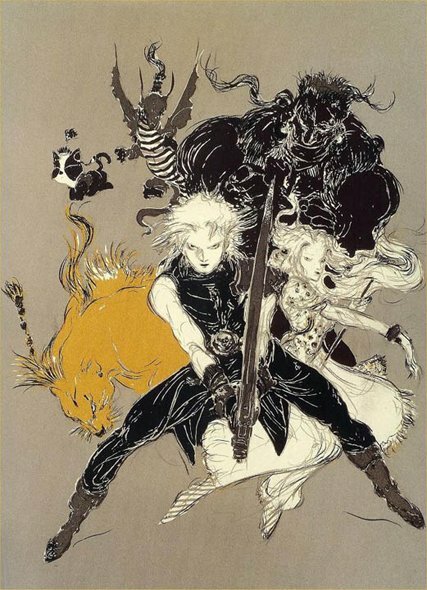 Not many people seem to know about the classic Final Fantasy series, the ones that don't have an "X" in the title, so this post is aimed to fix that by going through the series from its inception through the end of the Playstation era. 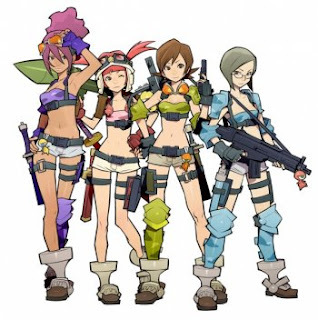 Note:As many consider the music from the series to be a significant attribute to its success, I've also linked each title to a clip of battle music from the game so you can listen while reading. So, with all of the above issues you're probably wondering how this game single handedly saved SquareSoft, sparked some very big careers, and captivated enough people to warrant a sequel. 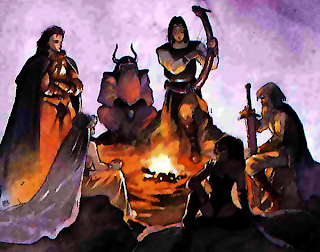 Final Fantasy plays like an old school 2nd edition D&D game. You create a party of 4 characters from a list of classes (the Black Belt is pretty much useless), learn a few spells, buy equipment from town, journey into the wilderness to rescue the kidnapped princess, and save the world from certain annihilation! In the newer ports they swapped Spells per Day with MP but almost all of the core things that make it great remain intact (though I prefer the old school graphics and original music). 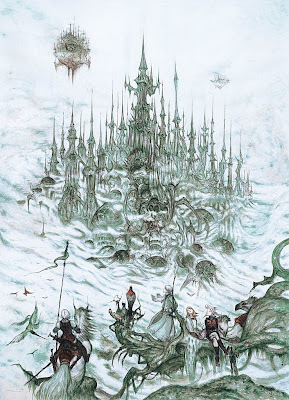 Final Fantasy has one of the deepest plots you'll find in an NES game, involving elves, dwarves, pirates, dragons, an airship, and even "timey whimey" time travel stuff. 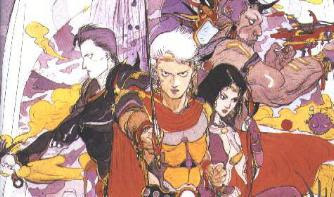 As one of the first console RPG's it's one of the founding fathers of turn based combat. Each class has it's own unique features such as the ability to cast magic, use certain weapons, and wear certain armor but you have no options or diversity in terms of leveling up, except that a few randomly determined statistic increases will give each character a slightly bit of variety (more STR/HP/ETC). Final Fantasy is also surprisingly lengthy for an NES game and can take more than 16-20 hours to beat on your first play through the game! It also has a surprisingly vast amount of concept art by Yoshitaka Amano and a fantastic soundtrack by Nobuo Uematsu. I highly recommend that you at least considered picking up this classic because that's exactly what it is... a timeless classic made playable for more casual gamers (...perhaps "non-masochistic" is a better term). Like the above, the real Final Fantasy III wasn't released in the US until it's debut on the Nintendo DS. I'm vastly enjoying the port but it wasn't available before the Playstation 2 so I'm not going to review it here. In the US, the SNES game called Final Fantasy III was actually Final Fantasy VI. They did this so us Americans wouldn't feel too left out or confused when we couldn't get a copy of the real FF II, FF III, or FF V. All of these efforts were completely undermined however when FF VII came out directly after "FF III." 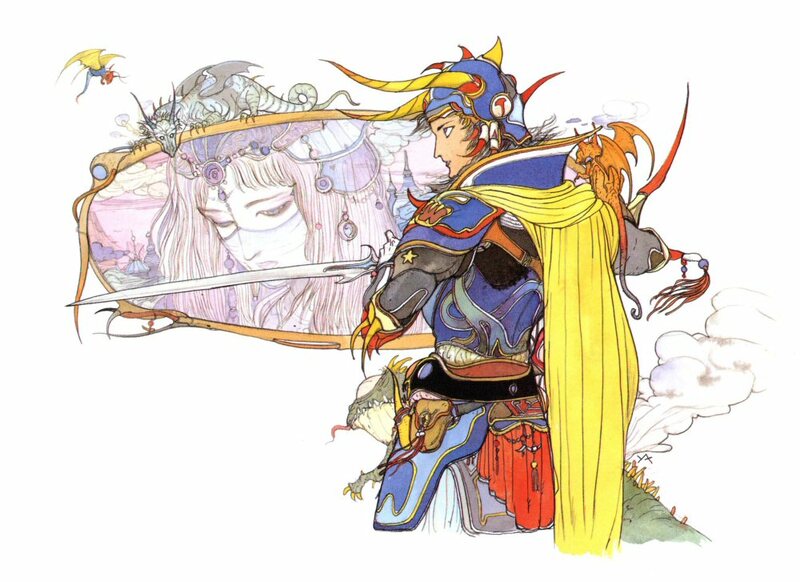 This was the first Final Fantasy on the SNES and is the one that many people still acknowledge as being the "finest fantasy." With a huge graphical, mechanical, and audio improvements from the NES games and a lengthy story it's not hard to see why this game made such an impact. FF IV features pre-determined characters who fit a pre-determined class (bard, sage, knight, dragoon) and much of the beauty of the game comes from the character interaction and deep story. While you can only control 4 characters at a time (which you can't swap out), the game forces circumstances on you to where you're playing as specific characters throughout different parts of the game and they all seem to get a fair amount of screen time. 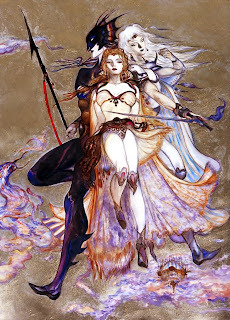 The combat system is almost identical to the original Final Fantasy, the Dark Elf king from FF 1 makes a surprise guest appearance, and FF IV was the first in the series (in the US) to introduce a character named Cid and the giant race of birds known as chocobo, staples of the series. After playing Final Fantasy IV, it was a mystery how SquareSoft could possibly top themselves. About this time a series of Final Fantasy games started popping up on the game boy known as Final Fantasy Legend (I, II, and III). These aren't actually Final Fantasy games, they're a part of the SaGa franchise, but are close enough to where no one at this time really knew the difference... Actually, most people still don't know the difference. You start the game by picking 4 characters, choosing their race (mutant/human/cyborg) and gender. The games only get more strange from there and as you find your way to the shops you'll have the option to purchase a sword, a bow/arrow, a staff, or an uzi. You read that right, an uzi! 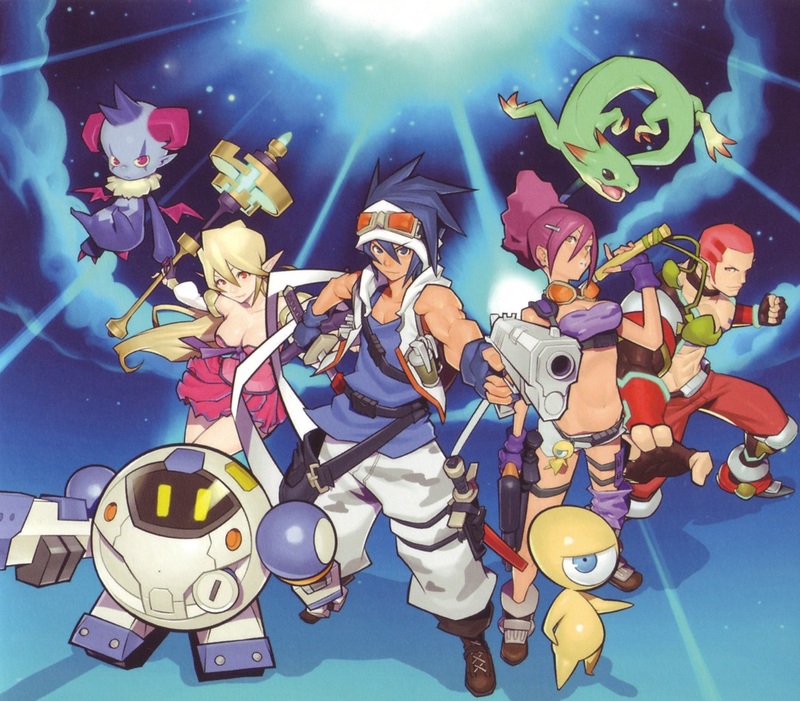 These games also features items like "NUKE"s (kills pretty much everything on the screen) which can be found in treasure chests, deities from Norse and Greek mythology, time travel, cyborgs, biker gangs, people jumping out of windows, and some of the strangest plots in the Final Fantasy series. 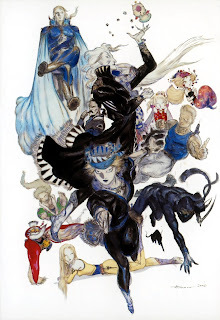 FF Legend II is often regarded as the best of the series (which received a stellar remake in 2009 that's only available in Japan), and the gameplay was a mix of the first final fantasy (turn based combat), combined with a level-up system that resembled something from FF II. One of the most big differences in the Legend series from the main games is that every weapon you purchase has a limited amount of uses before it breaks and you need to find a suitable replacement. This means you'll always have a spare sword/fireball/chainsaw/rocket launcher with you just in case! Another Game Boy release, this isn't really a Final Fantasy game so much as it's a part of the Secret of Mana series. While it was a fun action-RPG introduced as "a Final Fantasy spinoff" its storyline and gameplay clearly relate strongly to the Mana series. There's always been a trend towards simplifying games to attract a previously unaccessable fanbase and Final Fantasy Mystic Quest succeeded where many have failed. 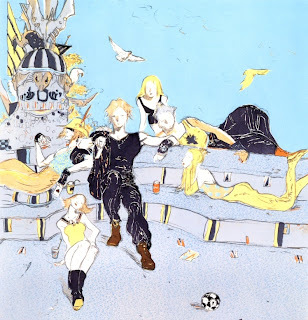 FF MQ is the beginner's guide to Final Fantasy, and even though I played it well after going through FF I, VI, and VII, I found myself loving it. There are no random encounters. Instead enemy sprites roam the levels! You can use weapons you have to interact with the maps you travel through! The game automatically equips the best possible equipment you have! Enemy bosses have different sprites that show battle damage as they lose Hit Points! It's got a fantastic soundtrack and the creative team from the main series also has a guest cameo! Final Fantasy Mystic Quest is innovative and unique enough to be my recommended starting point for someone new to RPGs that wants to play something from the SNES era, though it often gets mediocre reviews because of its simplistic plot, lack of variety in combat attacks, and short length, especially when compared to the rest of the series. One of the harder games in the main series (if not flat out the most difficult), FFV is sprinkled with boss fight after boss fight, lengthy dungeon after lengthy dungeon with little reprieve from the minions of ExDeath. The game is huge, spanning multiple worlds, and though you maintain control the same 4 characters throughout the entire experience there's one thing that prevents it from getting too repetitive. What really makes FF V shine is the Job System (originally seen in FF III), in which each of the main characters gains xp for both their character level and their Job level. You freely swap through various Jobs (fighter/monk/black mage) and as a character improves their Job level they get access to more abilities, eventually unlocking the 'master' ability that they will permanently have access to. Two of the optional but extremely difficult boss fights at the end of the game almost require you to master something like: Dragoon (You and always equip Lances), hunter (attack twice with each attack), ninja (can equip a weapon in each hand, doubling your attacks). Final Fantasy V also has a great soundtrack that's worth checking out... Which is a good thing because it took me almost a month of level-grinding to master most of the classes. Perhaps it's the difficulty spike and some of the quasi-perverted content hidden in the game that prevented a US port until the Playstation era. It's also worth mentioning that FF V has a full length feature film sequel (it's an anime) called "Final Fantasy: Legend of the Crystals." I found it vastly enjoyable as a kid but haven't seen it recently to verify it's as awesome as I remember. 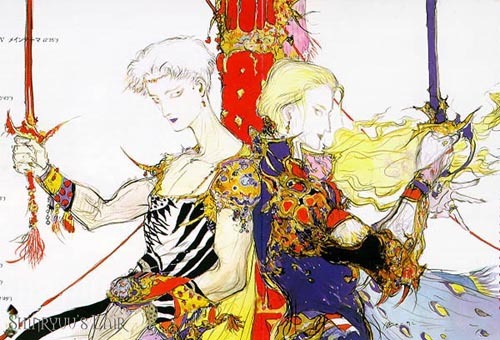 Originally known as Final Fantasy III in the US, this was the last of the Final Fantasy games released on the SNES, is what I personally consider to be the "finest fantasy" in the series, and is often cited as one the greatest RPG of all time. FF VI boasts a deep story that intertwines the lives of 14 unique characters, an epic soundtrack that many consider the best in the series, and it's two player! Yes, you read that right, you can either control the entire party of 4 (your favorites, hand picked from the 14 permanently playable characters) or split the team with a friend. FF VI also features one of the most expansive open-worlds you can explore on an SNES, each location on the map containing hidden items, unique sub-stories, and music. Characters follow individually pre-determined jobs that define their character (Shadow is a Ninja, Loche is a thief-er... "Treasure Hunter", etc) but thanks to the introduction of the Magicite System you can shift a character's stats as they level, and choose what sort of magical abilities/spells you want them to learn. 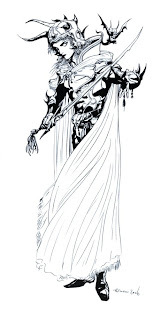 FF VI also has one of the longest endings you'll see in a video game, one of the most epic final boss fights, and one of the greatest video game villains of all time (often given this award by IGN, Game Informer, and any other news agency that has a "greatest video game villain" article). 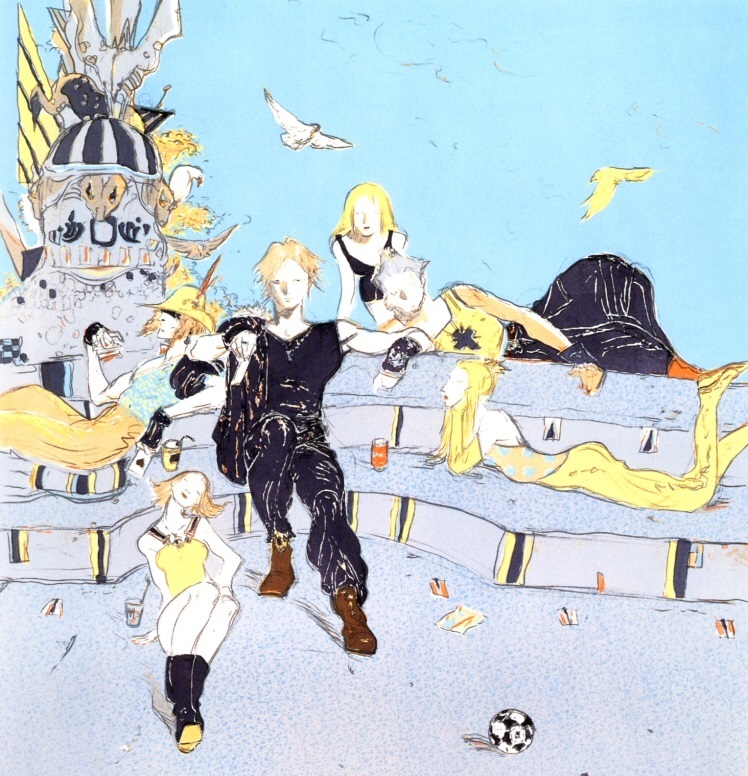 Final Fantasy VI is also the favorite game in the series of concept artist Yoshitaka Amano. This was the RPG that was praised for being one of the greatest games created for the original Playstation entertainment system and you'll likely be hard pressed to disagree. Final Fantasy 7 had breathtaking graphics for its time, had a comparably lengthy soundtrack to FF VI, and was a whopping 3 discs in length! 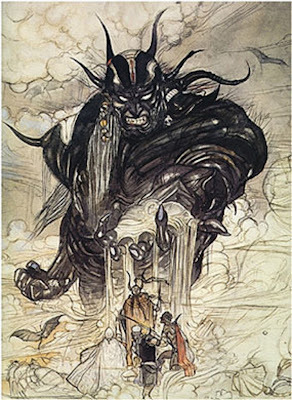 FF VII introduced the Materia System (which acted similarly to magicite), minigames (like snowboarding and chocobo racing/breeding), had two completely optional playable characters (Vincent and Yuffie), dozens of side quests, and was one of the first video games to feature vocals (in the song "One Winged Angel"). All of this, plus the extremely unique and memorable world (places like Junnon, Midgar, and the Golden Saucer) it's no wonder why this is one of the most popular games in the series and why it has the most spin-offs (Crisis Core, Advent Children, Before Crisis, Dirge of Cerberus, Last Order). Final Fantasy VII was also one of the first video games known to move people to tears. Despite some rather strange moments in the story, Final Fantasy VIII was a massive graphical and audio improvement over it's predecessors. A whopping 4 Playstation discs in size, with graphics that resembled people instead of polygons, music played on high quality instrument patches, an expansive in-game trading card game, hours worth of side-quest content, and an engaging story, FF VIII was easily one of the most expansive console RPG's available at the time of its release. It was definitely one of the most pretty. While some people have issues with elements of the story or the writing style, it has really solid combat mechanics (where you're given an incentive to tap "R1" at the exact moment your characters strike the opponents for extra damage) and is generally considered to be a cinematic masterpiece. FF VIII uses a fixed-class system combined with "Guardian Forces," giant monsters you can summon to fight on your behalf, and a unique magic system where you "Draw" magic spells (which have a limited number of uses) from enemies and the environment around you. It's also pretty much impossible to unlock all of the secrets in this game without a strategy guide or walk through. During the Playstation Era of Final Fantasy a few spinoffs of the series were released: Chocobo Racing (a mario-cart knockoff), Chocobo Dungeon (an adventure game starting a chocobo), Chocobo Dungeon II (the sequel), and Final Fantasy Tactics. FFT was one of the first games to take place in Ivalice (the world in which the Ivalice Alliance games like FF XII take place), and is a 3D strategy RPG that feels like a table-top rpg with 2d art. You control a team of characters, maneuver them through a three dimensional environment in true turn based combat, and use strategy to defeat an enemy force that's generally as powerful as you are. There are a few key characters in the story you play as but there are also many non-vital characters you can recruit (chocobos, humans, monsters, dragons, etc) for your team. FFT uses the FF III/V job system, so you can freely swap your characters from Knight to Archer to Black Mage between fights and gear your team towards the next skirmish. With the exception of a few key characters, when one of your characters dies in battle they stay dead forever and you're forced to recruit someone new if you want to replace them. This, combined with the brutal class-warfare driven story, enemies that are easy to hate, and the sheer hours you can spend customizing each character give the game a very unique feel and make it easy to form emotional attachments. Every battle very well could be your last with one of your teammates and even casual random encounters can destroy you. 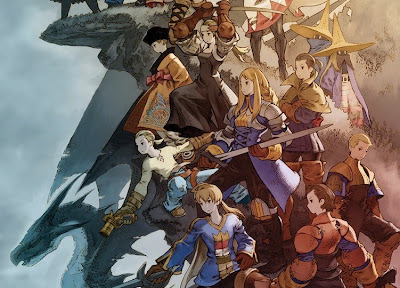 With the unique combat mechanics and art style, a new composer, and an incredibly lengthy story (I clocked over 156 hours of gameplay on my first time through... not including game overs) Final Fantasy Tactics is one of the most unique and enjoyable games created by Square. The differences leave no questions as to why it wasn't included as a part of the main series, and the constant throwbacks to elements from the main series leave no question that it's a Final Fantasy game. Final Fantasy Tactics is one you certainly shouldn't miss, especially now that it's been ported to the PSP and PSN virtual consoles... Because it's just a regular CD disc, you can also play a copy of the original game on your computer if you have a Playstation emulator, but I recommend the rerelease over this because they added a number of enhancements to the later editions that added more things to do. While some criticize this game for it's toonish graphics and comparably lighthearted story (compared to FF VII or VIII), FFIX is a strong adventure that perfected many of the things FF VIII hadn't quite worked out. 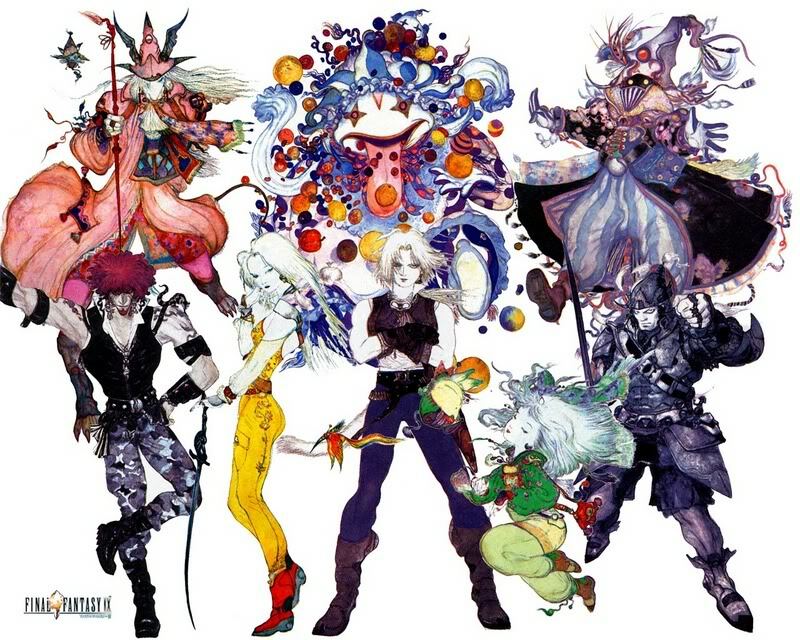 With the most expansive soundtrack in a Final Fantasy game written by Nobuo Uematsu (which he often describes as being his proudest creation), a deep story, a diverse set of main characters, monsters that shift their difficulty based on your level (eliminating the need to level grind), stylized graphics, and a number of fantastic new mini-games (including a new TCG, Chocobo digging games, and "friendly" random encounters) FF IX is often dubbed the "finest fantasy" in the series. The favorite of Uematsu himself, IX "feels" the most like a direct sequel to one of the original games. It contains references to its predecessors like "rat tails", moogles, summoned monsters, a Cid, and limit breaks, but it also contains elements like traditional Final Fantasy airships, dwarves, talking monsters, and appearances by characters who appeared in previous games. Final Fantasy IX can be completed in around 9 hours if you really know what you're doing. I spent one summer trying to accomplish this task to unlock a hidden sword at the end of the game but you can easily spend over 40 hours on it if you take your time. FF IX also has so many hidden side quests that people are still finding new ones!... oh and don't bother buying the original Prima strategy guide, because it constantly makes you visit their website ("Find out more at our website") which is no longer active. While the Final Fantasy series continues well past this list (FF Crystal Chronicles, X, X-2, XI, Tactics Advance, T:A-2 etc) I found the cleanest break was to stop at the end of the Playstation 1 era, a break where almost everything on my list is still widely regarded as some of the Finest classic Fantasy RPGs ever made. Feel free to share your own thoughts or memories in the comments section. Careless: Epic post, well done. I might have missed it, but if you had to pick a favorite overall, which would it be? While I grew up with and played FF I, MQ, IV, VI and Tactics extensively, I do have an appreciation for VII and on as well... just not nearly as much! XII was fun gameplay and solid english dubbing, good difficulty level, wonderful music for all. 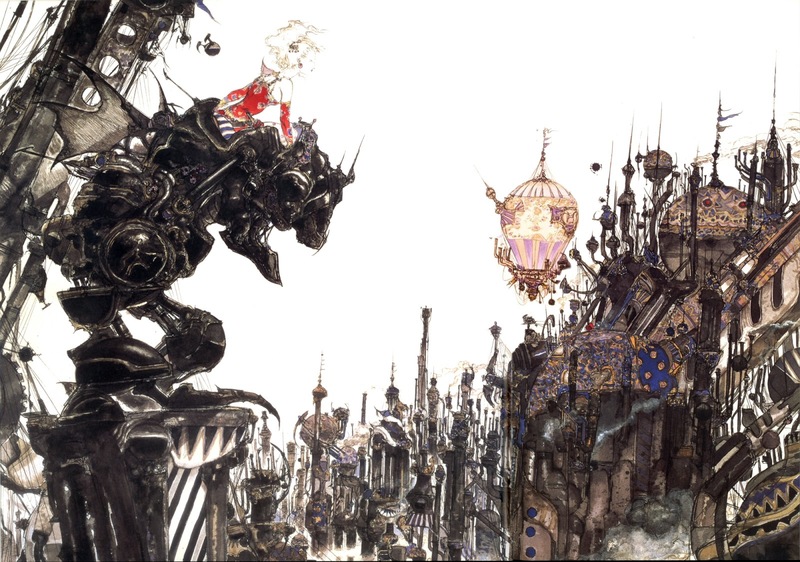 Anyway, I would contend that VI is overall the best execution of FF, and while it's one I've played the least compared to the others, I admire the world, characters and especially the music it conveyed more than any other. Thanks for the kind words! I'm glad you enjoyed it (your game world is shaping up nicely btw). My favorite is easily FF VI. It's the one I've played the most (beat it over 16 times), and that share in your reasoning why it's the best. Many others were fantastic as well (VII, I, Tactics) but VI is the reason I learned to read (weird as that sounds) and is also why I wanted to learn how to play instruments. I have a weird question for you. In terms of music, did any of the stuff from XII stand out as being particularly melodic? I feel like they did a good job with the music but it didn't seem nearly as catchy or impactful as Uematsu's work. Just my thoughts. My last super-post was about a bunch of US RPGS but I see what you mean. My reservation is that I never played a lot of the non-ff rpgs from Japan like Dragon Quest, 7th Saga, the Tales series, or Fire Emblem. I'm going through Fire Emblem Awakening right now, so I guess we'll see how that goes. Fun so far! I actually learned to read with MQ the year it came out, and I recall playing IV when I was six or seven, so it's not weird to me at all! I have kids, oldest being a boy that loves games (possibly more than I did at his age of four, which seems impossible), and his desire to learn to read stems from wanting to play the "reading games". It's a win win, really, haha. As far as XII goes, I wouldn't say any of the music really struck me as memorable, actually. The boss music and the first sewer dungeon area's music stick out the most. While the music didn't stay with me like the others, I think there are two types of compositions I enjoy; There's the kind from the likes of VI and Chrono Trigger that effectively ARE the atmosphere and feel of the game, center stage of the senses while the rest of the game sort of supports it - and then there's the ambient soundtrack, like XII, that's so great at being, well, unnoticable. But it blends so well with the experience that you almost can't recall it. Hopefully that makes some semblance of sense! Also, Uematsu is my fav. I love his work from 2000 and back, and I'm a big fan of The Black Mages! Anyway, I still think you should do another post ; ) Or perhaps explore what other RPG music (if any in particular) impacted you anywhere near what Uematsu's did?